That’s an impressive statistic! Although, if heart disease runs in your family, the sooner you make these changes, the better. Heart disease is something that you’ll want to stay ahead of – if you can. As a general rule, a heart-healthy diet should focus on whole grains, healthy fats, lean sources of protein, fruits and vegetables as well as a low salt diet. You can even go a step further by minimizing refined carbohydrates, sugar, and saturated fats. Lowering your consumption of carbohydrates, especially refined sugar, can lead to a healthier liver, which will help with how the liver processes cholesterol. This is especially true for diabetics who often develop fatty liver disease, which can lead to higher cholesterol. 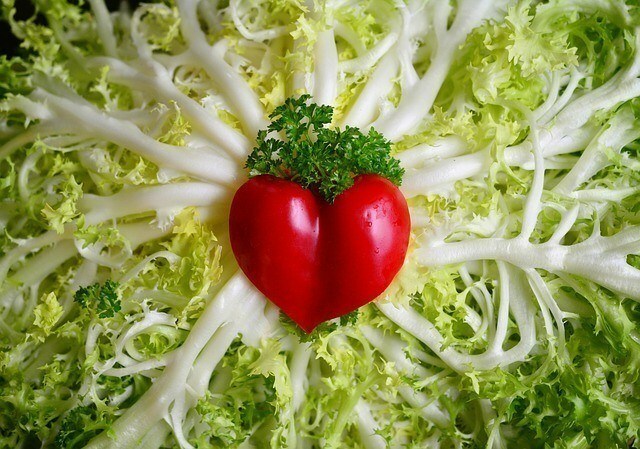 Certain foods are especially heart-smart because they’ve been linked to clearer arteries, lower cholesterol, lower blood pressure, and/or reduced inflammation. Incorporating more of these foods into your healthy diet while reducing your salt consumption will help decrease your risk for heart disease. Combine these changes with an exercise regime and not only will you be lowering your chances for heart disease, you’ll feel better too! Remember, new habits takes 21 days to develop, so in less than a month, you can create a life change that will lower your chances of developing heart disease. If you’re ready to make these heart-healthy changes, here are 7 foods that will help get to started. All whole grains are good for your heart, in fact, a 2016 analysis of 14 studies published in the journal Circulation found that for every serving of whole grains consumed daily, the risk of cardiovascular disease dropped by 9 percent (compared with eating no whole grains). That’s pretty amazing! Oatmeal is a whole grain that also deserves special recognition for its cholesterol-lowering powers. “Oatmeal is rich in soluble fiber,” Willett says. “And soluble fiber has been shown to bind to cholesterol and keep it out of the bloodstream.” There’s enough evidence to back this up that the Food and Drug Administration allows oatmeal and certain oatmeal products to tout the claim “can help reduce cholesterol” on the product package. Keep in mind though, if you’re cholesterol is already out of control, you’ll need to talk to your doctor about making bigger changes. To get the benefits, you need to have at least 3 grams of soluble fiber a day—that’s the amount in ¾ cup of dry oats. People who got that amount have seen levels of “bad” LDL cholesterol drop by an average of 9.6 mg/dL and total cholesterol by 11.6 mg/dL, according to a 2014 analysis of 28 studies involving 2,519 people that was published in the American Journal of Clinical Nutrition. According to the Department of Agriculture, apples are the second most eaten fruit after bananas, which is good news since apples also have some important heart-health benefits. 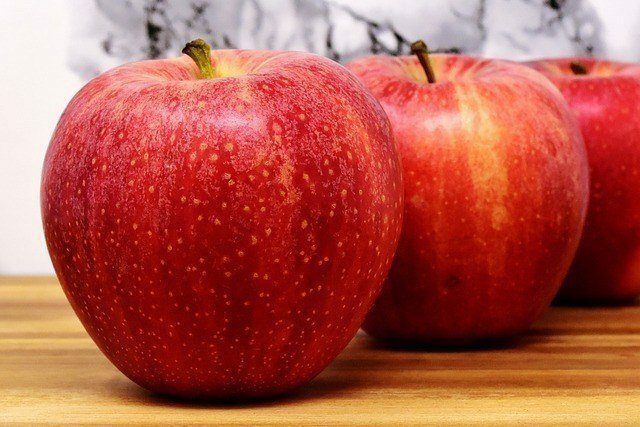 Apples—especially the skin—is rich in antioxidant flavonoids like quercetin and anthocyanins that have been linked to cardio-protective effects. A 2012 study of 160 postmenopausal women found that those who consumed 75 grams of dried apple daily (equal to about two medium fresh apples) reduced their total cholesterol by 9 percent and LDL cholesterol by 16 percent after three months. After six months, total cholesterol dropped by 13 percent and LDL cholesterol dropped by 24 percent. 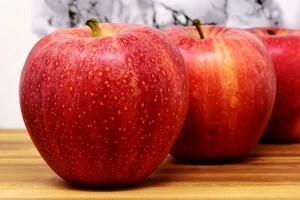 Apples are a great source of soluble fiber, supplying about 1 gram in one medium apple. Fish is one of the best dietary sources of omega-3 fatty acids, a type of fat likely helps with reducing the risk of heart disease. The American Heart Association recommends eating at least two 3 ½ ounce servings of fish a week. Salmon, tuna, sardines, herring, trout, sablefish and mackerel. Mackerel has the highest level omega-3 fatty acids at 2.6 grams per 3.5 ounces, though mackerel also is known for its higher mercury levels versus sardines which are a low-mercury choice. Nuts are a great source of unsaturated fats as well as fiber, protein, and a variety of minerals and antioxidants. Walnuts a slight edge because of their higher levels of anti-inflammatory alpha-linolenic acid, a type of omega-3 fat found in plant foods. When increasing your consumption of omega-3’s, it’s a good idea to include both fish based and plant based sources, since they have different properties. A study published in the Journal of the American College of Cardiology found that people who consumed a 1-ounce serving of nuts five or more times a week had a 14 percent lower risk of cardiovascular disease (CVD) than those who didn’t eat nuts. 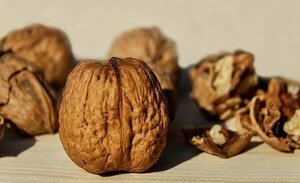 But those who ate one or more servings of walnuts per week had a 19 percent lower risk of CVD. Another review, published in the journal Clinical Nutrition, found that walnut consumption helped improve endothelial function, meaning better blood flow through your vessels and into your heart. The category of foods known as pulses (lentils, beans, chickpeas, and dry peas) is known for its heart-healthy benefits. These plant-based protein sources are low in fat, high in fiber, and rich in nutrients such as potassium and the B vitamin folate that have been linked to lower blood pressure. However, lentils have a bigger advantage and are easier to include in your diet because they are easier to prepare. Unlike most dried beans that require soaking, lentils just need a quick rinse and cook in less than 20 minutes. All fruits ending in ‘berry’ are well known for their heart-health benefits. They get their red and blue coloring from antioxidant anthocyanins which have many health benefits. Blueberries have one of the highest levels of anthocyanins, with 120 mg per half-cup. Some clinical trials have shown that higher intakes of anthocyanins can help decrease blood pressure, lower LDL cholesterol and reduce inflammation. A 2011 study that followed more than 150,000 men and women for 14 years found that those who consumed more than one serving of blueberries per week had a 10 percent reduction in hypertension compared with those who ate no blueberries. Though there are less studies for Goji and acai berries, they have even higher levels of antioxidants. Juices or powders from these berries can easily be found in health food stores or ordered online. 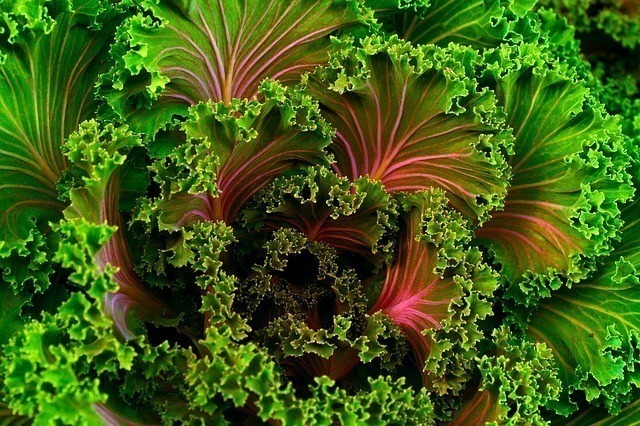 Dark leafy greens are a universally healthy food group, rich in many beneficial nutrients. Plus, they all pack high doses of magnesium and potassium, which are both of which are important for helping to regulate blood pressure. 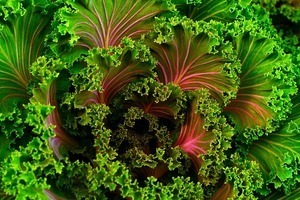 Kale stands out because it contains high levels of the antioxidant lutein. Besides helping to prevent macular degeneration, kale is also known for decreasing levels of inflammatory markers and atherosclerosis. However, kale is high in vitamin K which can interfere with anticoagulant medications if you eat too much in one sitting. So if you take these drugs, check with your doctor before crazy with this leafy green.